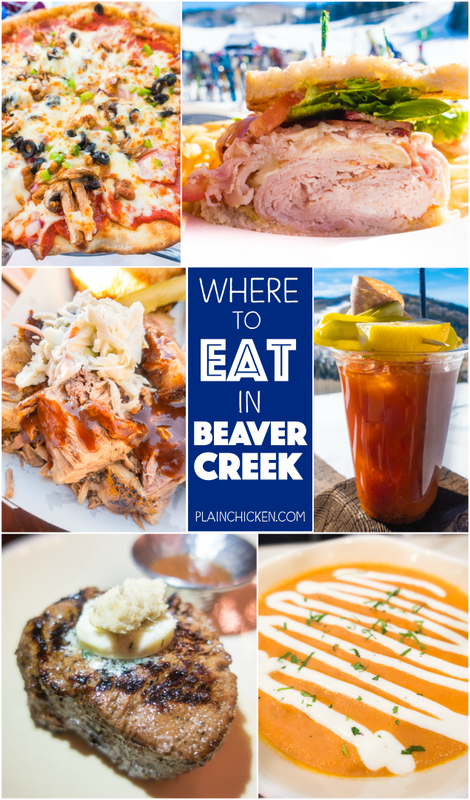 Where to Eat in Beaver Creek Colorado - from burgers to pizza and everything in between. 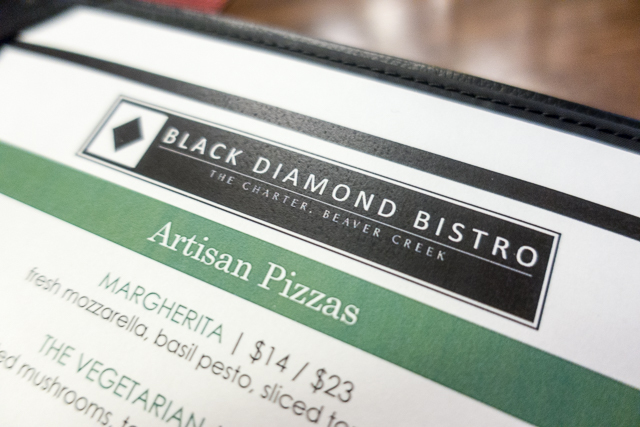 You don't want to miss these places when you travel to Beaver Creek! 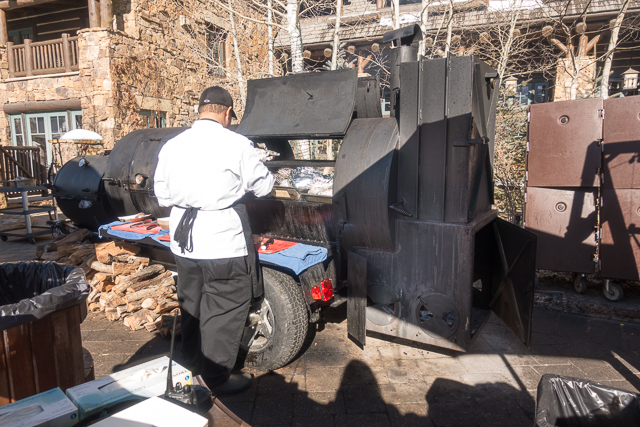 Today I am sharing all of the yummy food that we ate while we were in the Beaver Creek/Vail area. We ate several meals at the hotel, but we did venture out a bit to some of the area restaurants. We ate THE BEST steak EVER on this trip. 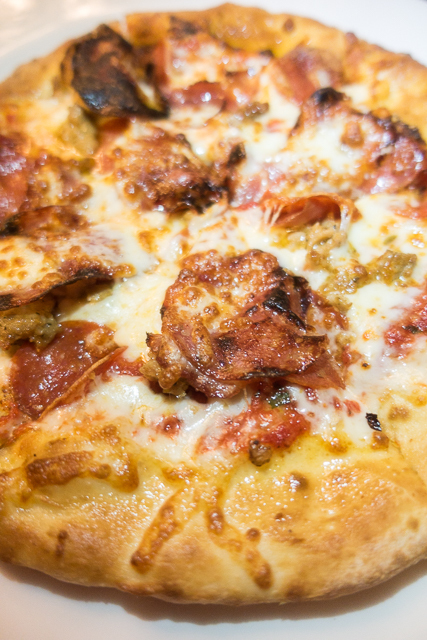 We also ate some pretty amazing pizza, burgers and sandwiches! Our first night in town we took the shuttle to the Black Diamond Bistro. Chicken Legs got the Brisket Sandwich - it was reminiscent of a French Dip. The fries were really good. 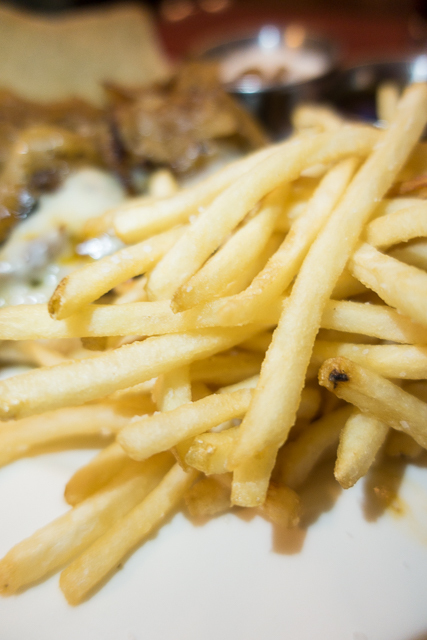 I love skinny fries! 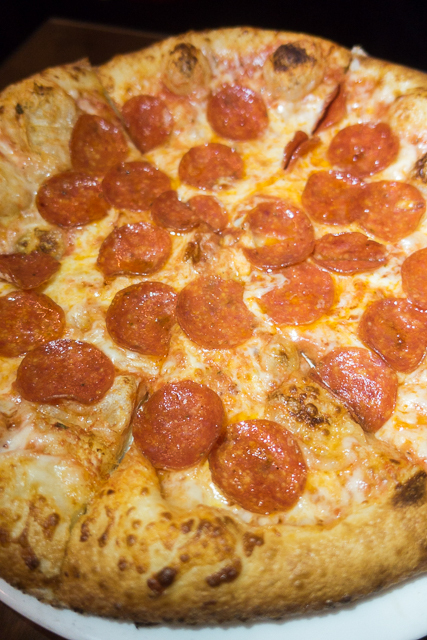 I got the pizza. It was surprisingly delicious! I would definitely order it again. 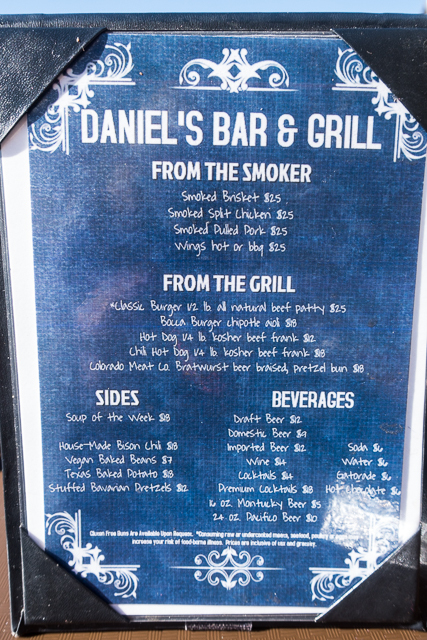 Daniel's Bar & Grill is located on the backside of the Ritz Carlton - directly behind the ski lift. They smoke all kinds of meats and grill burgers on site. It smelled amazing. We couldn't wait to try it. Chicken Legs got the brisket. 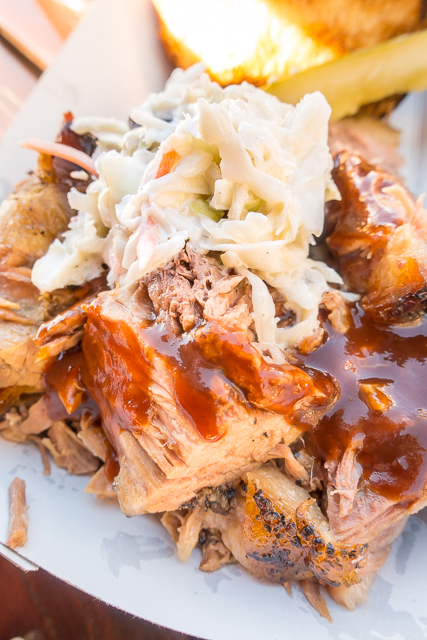 I got the pulled pork. This was A LOT of food. I mean A LOT. We could have easily shared one serving and still had leftovers. The food was crazy good. There were several sauces to choose from. It honestly didn't really need anything. So much great flavor. We also got some Hot Chocolate with a shot of Bailey's. This is a MUST if you are skiing at The Ritz Carlton. We spent lots of time in the lobby bar area. 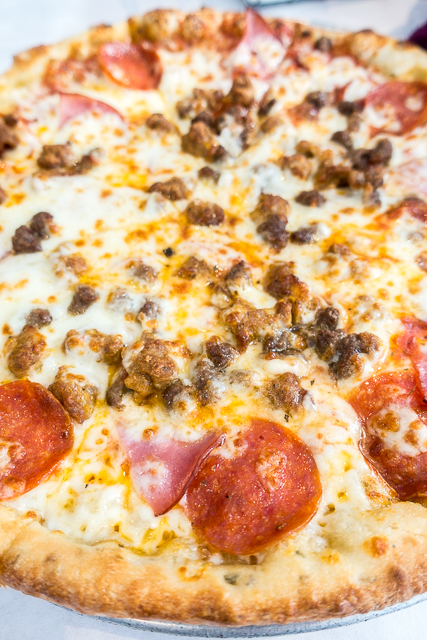 We split a pizza one night - it was really good. I ate one of THE BEST Grilled Cheese and Tomato Soups ever for lunch while Chicken Legs was skiing. I hate that I only ate this once on the trip. Buffalo's is the "sports bar" inside the Ritz Carlton. We stopped in for dinner one night. 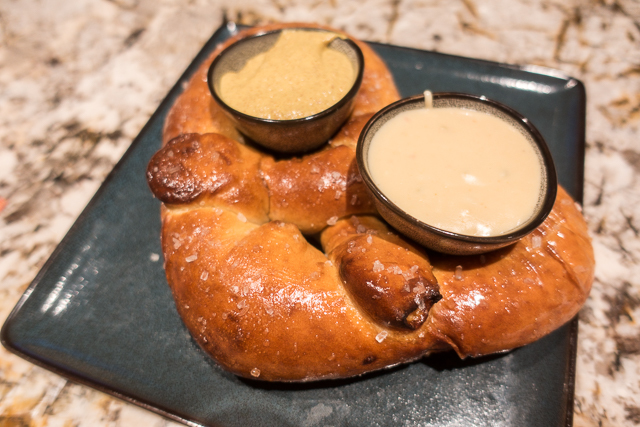 We started with the pretzel. It came with cheese sauce and mustard. 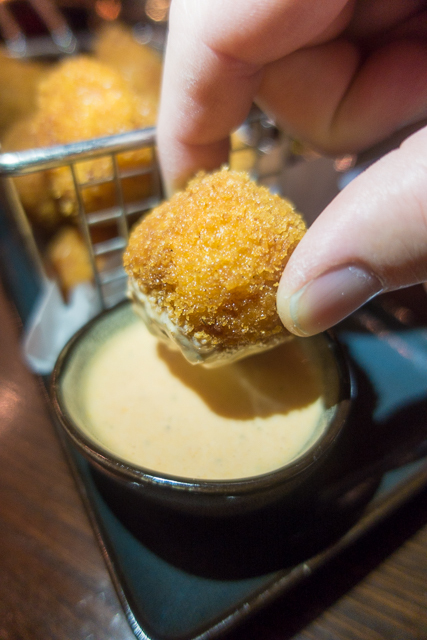 The Fried Bacon Mac & Cheese bites were yummy dipped in buffalo ranch sauce. 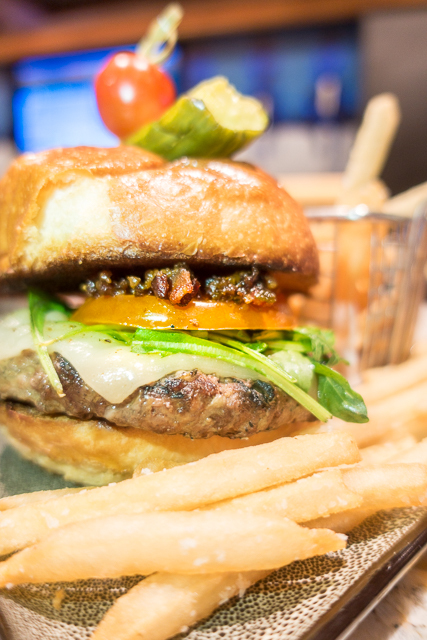 We split a burger and it was delicious! 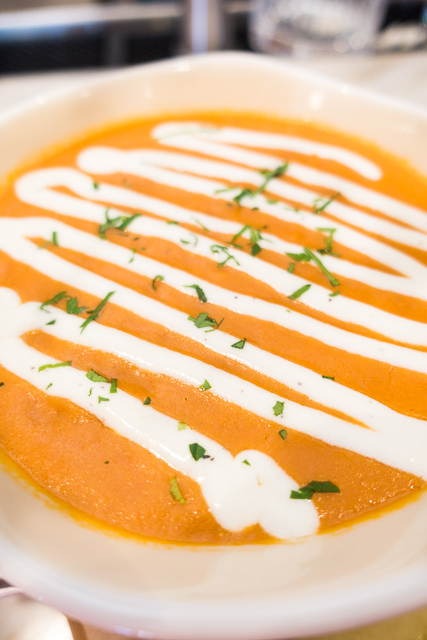 We would definitely recommend a meal at Buffalos. 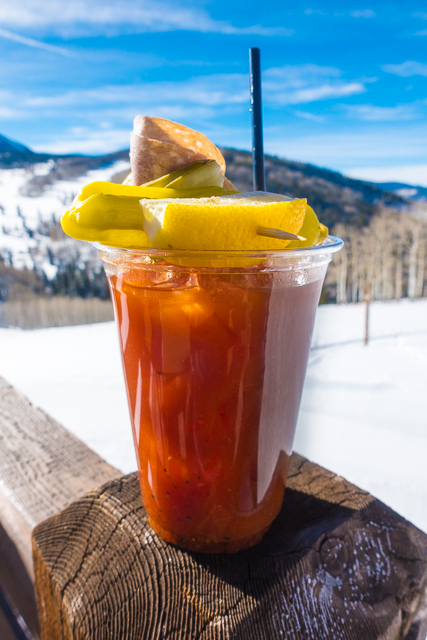 You MUST stop in for a Bloody Mary at Mamie's Mountain Grill at the top of Bachelor Gulch mountain. It was one of THE BEST ever! 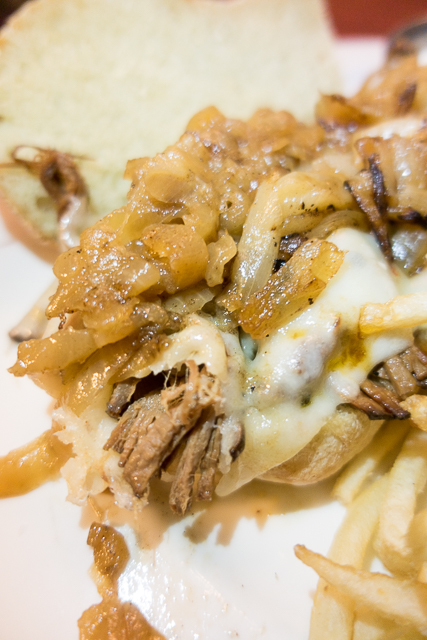 Mamie's also serves food - lamb, steak, chicken, hot dogs, and burgers. It all smelled great! They are only open for lunch. 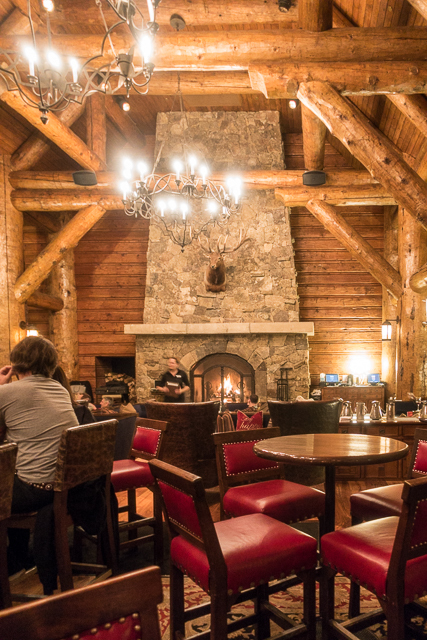 We stopped in for lunch at the Beaver Creek Chop House. It is located directly at the bottom of the Beaver Creek mountain. 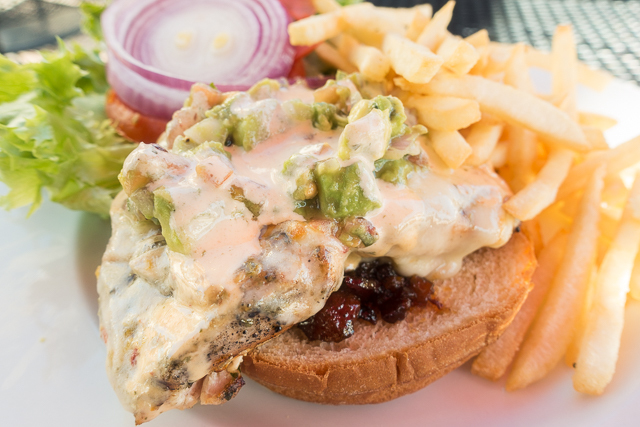 Chicken Legs got the Chicken Sandwich - chicken topped with avocado relish, smoked bacon jam, pepperjack cheese, and chipotle dressing. He said it was one of the best chicken sandwiches he's ever eaten. 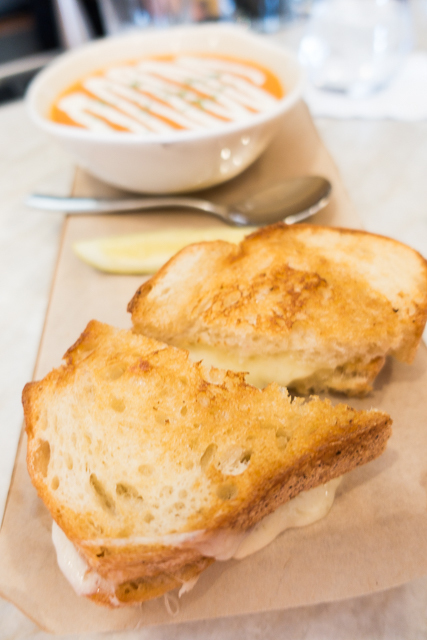 I ordered the BIRD & BRIE - turkey, melted brie, applewood smoked bacon, honey mustard. The food was delicious and the view was second to none. 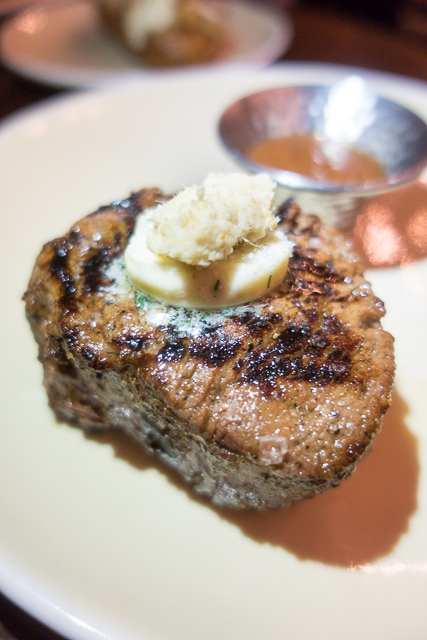 Wyld is the new steakhouse in The Ritz Carlton Bachelor Gulch. We ate here twice on our trip. It was that good. The first night we got a filet. It was incredibly delicious. 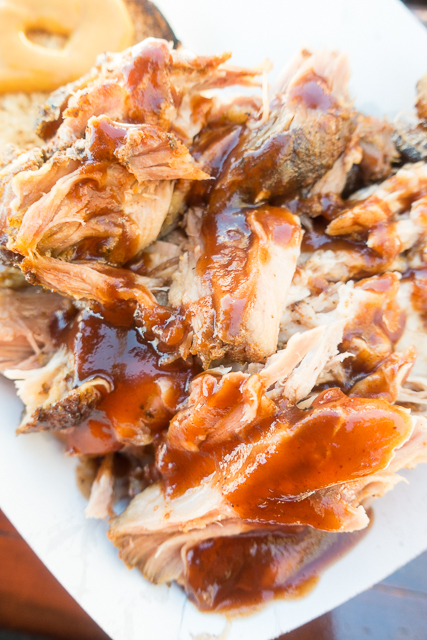 Seasoned and cooked to perfection. 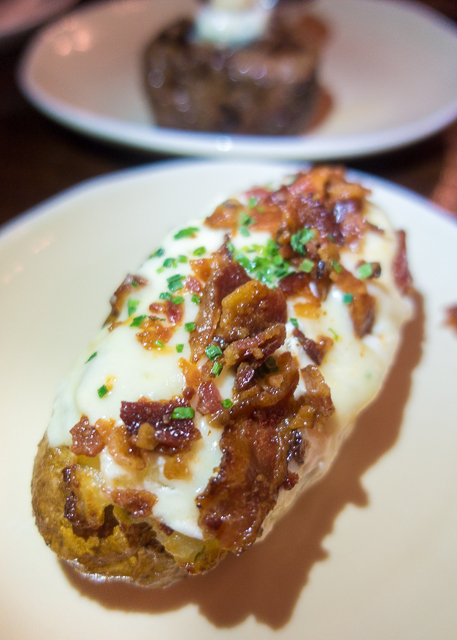 Both nights we got the Wyld Stuffed Potato. 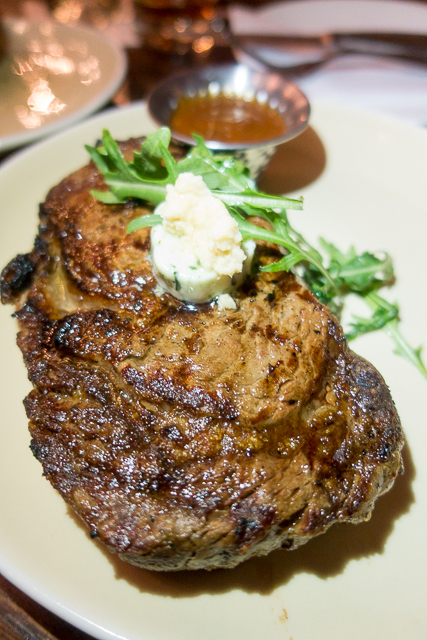 On our second visit, we tried the Ribeye. We actually sat in the lobby bar and ordered off the Wyld menu. 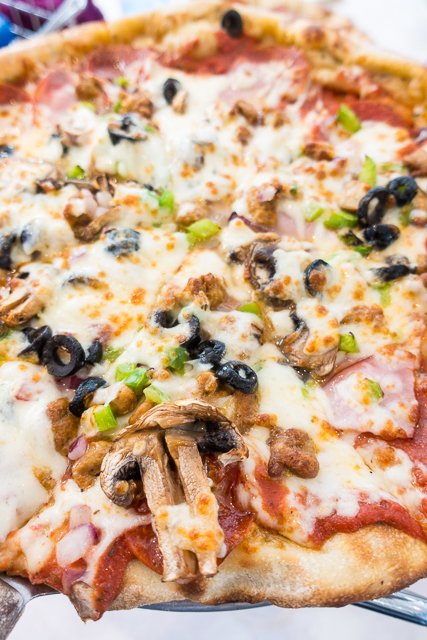 Blue Moose Pizza came highly recommended from some of the staff at the hotel. 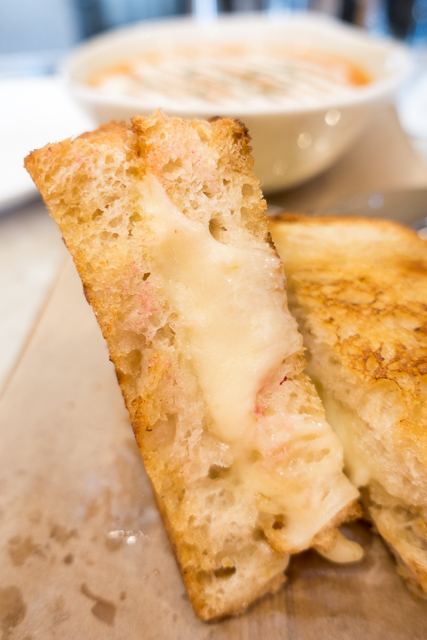 They have a location in Beaver Creek and one in Vail. We ate lunch at the Vail location. We started with the Mozzarella Sticks. 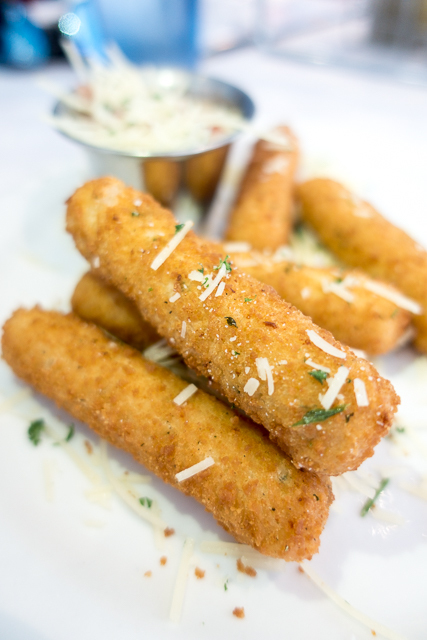 They were your typical mozzarella sticks. Very good. 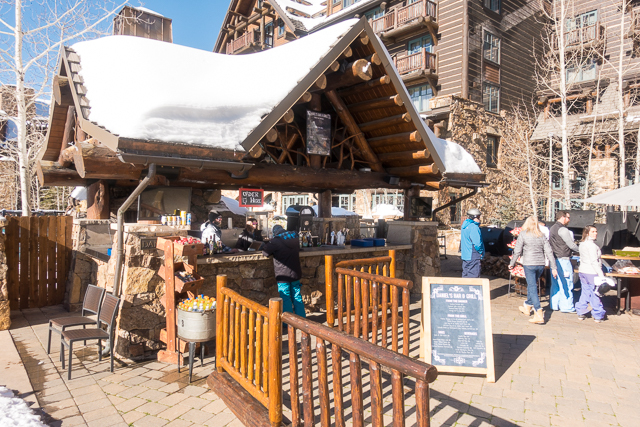 The pizza was great and it was the perfect spot to grab a bite while on the slopes in Vail. 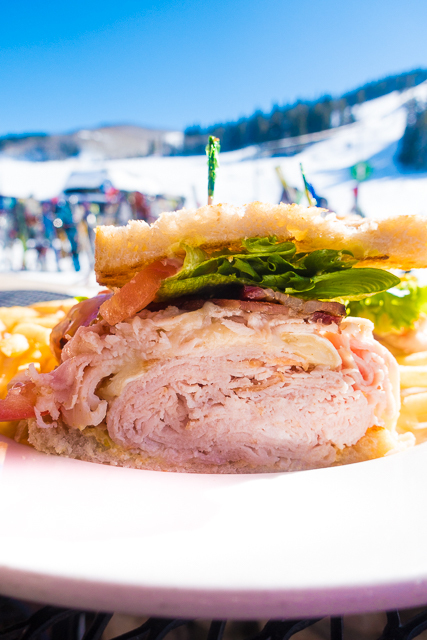 Where are your favorite places to eat in Beaver Creek? We are already planning our next trip! We need suggestions! !